Theresa May is the only candidate left to become Britain’s next prime minister, after the other contender, Andrea Leadsom, quit the race on Monday. 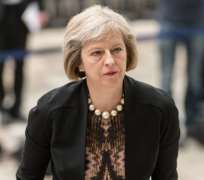 It was not immediately clear whether the development meant that Home Secretary May would automatically become the nation’s next leader. Leadsom said that she had the backing of far fewer MPs than May, and that if she had won the prime ministership, she would have struggled to unite the party. “Theresa May carries over 60% of support from the party. She is ideally placed to implement Brexit and has promised to do so. I have concluded that the interests of our country are best served by the implementation of a strong leader.” Leadsom said. “Brexit” refers to Britain’s decision to withdraw from the European Union, decided in a referendum on June 23. The ruling Conservative Party had whittled down its candidates from five to two in rounds of votes among MPs, and the wider party of around 150,000 people was set to decide between the two. Prime Minister David Cameron announced his resignation following the referendum, having failed to persuade the British people to remain in the union.